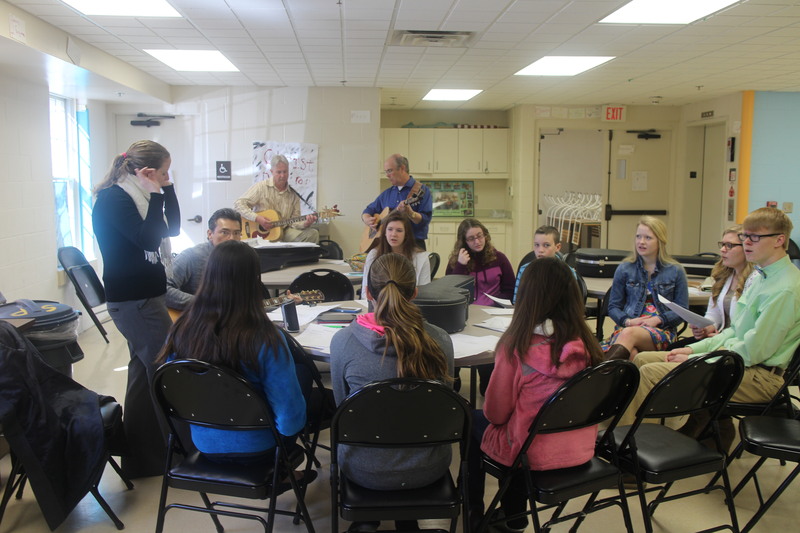 We have a number of ways for people of all ages to participate in musical fellowship and worship at St Paul’s! 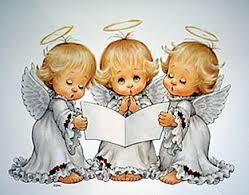 The Angel Choir welcomes all children ages 4 through 5th grade to come sing with us. We practice each Sunday morning from 10:15 to 10:40 a.m. in the 1st/2nd Grade Sunday School room. We sing the pre-prelude once a month at the 11:00 service. If you have any questions, please contact Kim Pyles at 410-549-1050 or kapyles@comcast.net. In the past, we’ve had two children’s choirs: Cherubs (ages 4 to 1st Grade) and Angels (Grades 2-5). We’d like to start the Cherub Choir back up this fall, and we are looking for someone to lead one of the choirs. Kim Pyles currently leads the Angel Choir, but is willing to lead either choir. We have plenty of music and CDs for both choirs. If you are interested in leading one of the choirs or have questions, please contact either Pastor Doug, or Kim Pyles at kapyles@comcast.net or410-549-1050. Tweens and teens can join our youth choir, The Voices of Praise, led by Elizabeth Htwar, ELIZABETH_HTWAR@hcpss.org. Our band, Fishers of Men, plays contemporary Christian music during the 9:15 service most Sundays, and periodically at other events during the year. All ages are welcome to join! For more information contact Rich Reed, rreed@midatlanticgroup.com. The Fishers practice Tuesdays at 7pm in the sanctuary. The Fishers are looking for musicians and vocalist of any age who would like to join us in singing and playing contemporary Christian music! We welcome new members who would like to play and sing regularly, as well as those who would like to join us every now and then. Feel free to stop by during our weekly practice sessions on Tuesdays at 7pm in the St Paul’s Sanctuary to try it out! For more information, contact Rich Reed at rreed@midatlanticgroup.com. 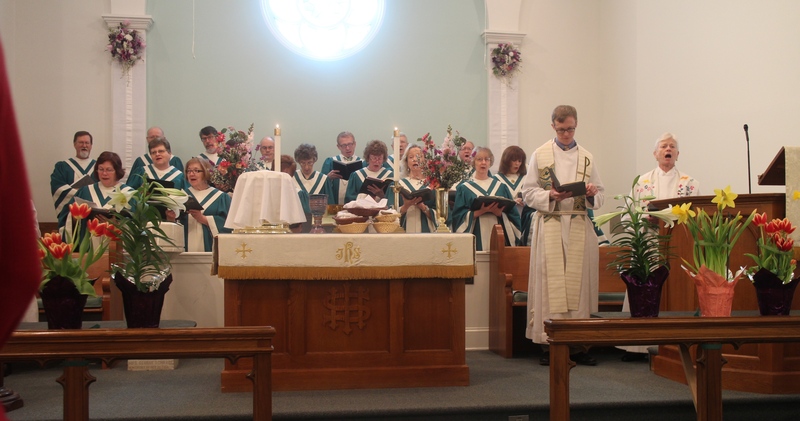 Our Adult Choir sings traditional hymns during all 11:00 services during the fall, winter and spring. Betty May is our Choir Director, tomandbet1951@yahoo.com. The Choir practices Wednesday evenings in the sanctuary. The handbells practice at 10am on the third Sunday of the month, and Thursday evenings in the sanctuary. For more information contact Mary Stoneburner, mtstoneburner@comcast.net. In addition, we have an audio visual team that makes all of these musicians sound fantastic! Jay McNeil and Mark Whittemore head up our A/V team, jaybirdshark@gmail.com.